Glen Dunzweiler is a filmmaker, producer, writer and public speaker. He started his work with homelessness in 2010 when making his documentary â€˜yHomeless?â€™. After years of seeing the public bang their heads up against the same homeless issues, he was driven to write this primer. 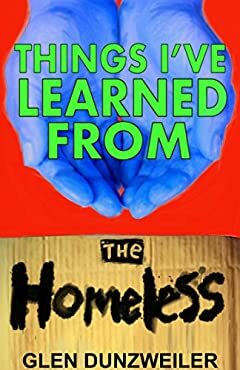 â€˜Things Iâ€™ve Learned From The Homelessâ€™ looks to explain the world that housed individuals are often frustrated by.